John Burdon Sanderson Haldane FRS (November 5, 1892 – December 1, 1964), who normally used "J. B. S." as a first name, was a British geneticist and evolutionary biologist. He was one of the founders (along with Ronald Fisher and Sewall Wright) of population genetics. In addition to his scientific achievements and accomplishments as a writer (including fiction), Haldane also gained a reputation during a large part of his life as a notable atheist, materialist, socialist, and communist. He reported that he had been a materialist in practice since 1925, and became a committed Marxist by 1937 (Sheehan 2007). In 1940, he provided the introduction to the English version of Engel's Dialectics of Nature. However, his positions seem conflicted. Orr (1999) noted that "J.B.S. Haldane was an unabashed mystic," and some of Haldane's writings revealed a person who believed the mind is not a by-product of matter and continued on after the death of the body. He was skeptical of socialism working in large nations, and, confronted with the many atrocities committed in the name of communism, Haldane left the Communist Party in 1950. Haldane was born in Edinburgh, Scotland, to physiologist John Scott Haldane and Louisa Kathleen Haldane (née Trotter), and descended from Scottish aristocrats. His younger sister, Naomi Mitchison, became a writer. His uncle was Richard Haldane, 1st Viscount Haldane, politician and one time Secretary of State for War and his aunt was the author Elizabeth Haldane. 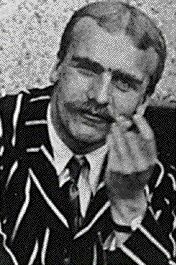 Haldane was educated at Dragon School, Eton College (where he suffered a certain amount of being bullied at first, but ended up being Captain of the School), and at New College, Oxford. During the First World War, Haldane served with the Black Watch in France and Iraq. He was initially Bombing Officer for the 3rd Battalion before becoming a Trench Mortar Officer in the 1st. While in the army, he became a socialist, writing "If I live to see an England in which socialism has made the occupation of a grocer as honourable as that of a soldier, I shall die happy." Between 1919 and 1922, Haldane was a fellow of New College, then moved to Cambridge University until 1932. He then moved to University College, London, where he spent most of his academic career. In the late 1950s, he moved to India at the invitation of Prasanta Chandra Mahalanobis. The move was ostensibly a protest against the Suez War, but had been a possibility for some while. He became an Indian citizen. In 1923, in a talk given in Cambridge, Haldane, foreseeing the exhaustion of coal for power generation in Britain, proposed a network of hydrogen-generating windmills. This is the first proposal of the hydrogen-based renewable energy economy. In 1924, Haldane met Charlotte Burghes (nee Franken) and the two later married. To do so, Charlotte divorced her husband, Jack Burghes, causing some controversy. After a wartime trip to the Soviet Union, Charlotte Haldane became disillusioned with socialism, which J.B.S. still believed in, writing about it in Russian Newsreels. The Haldanes separated in 1942, divorcing in 1945. J.B.S. later married Helen Spurway. In 1925, G.E. Briggs and Haldane derived a new interpretation of the enzyme kinetics law described by Victor Henri in 1903, different from the 1913 Michaelis-Menten equation (Briggs and Haldane 1925). Leonor Michaelis and Maud Menten assumed that enzyme (catalyst) and substrate (reactant) are in fast equilibrium with their complex, which then dissociates to yield product and free enzyme. The Briggs-Haldane equation was of the same algebraic form, but their derivation is based on the quasi steady state approximation, that is the concentration(s) of intermediate complex(es) do(es) not change. As a result, the microscopic meaning of the "Michaelis Constant" (km) is different. Although commonly referring to it as Michaelis-Menten kinetics, most of the current models actually use the Briggs-Haldane derivation. Haldane made many contributions to human genetics and was one of the three major figures to develop the mathematical theory of population genetics. He is usually regarded as the third of these in importance, after R. A. Fisher and Sewall Wright. His greatest contribution was in a series of papers on "A Mathematical Theory of Natural and Artificial Selection" which was the major series of papers on the mathematical theory of natural selection. It treated many major cases for the first time, showing the direction and rates of changes of gene frequencies. It also pioneered in investigating the interaction of natural selection with mutation and with migration. Haldane's book, The Causes of Evolution (1932), summarized these results, especially in its extensive appendix. This body of work was a major component of what came to be known as the "modern evolutionary synthesis," reestablishing natural selection as the premier mechanism of evolution by explaining it in terms of the mathematical consequences of Mendelian genetics. Haldane introduced many quantitative approaches in biology, such as in his essay On Being the Right Size. His contributions to theoretical population genetics and statistical human genetics included the first methods using maximum likelihood for estimation of human linkage maps, and pioneering methods for estimating human mutation rates. He was the first to calculate the mutational load caused by recurring mutations at a gene locus, and to introduce the idea of a "cost of natural selection." In 1929, he proposed a theory on the origin of life, offering a materialist explanation for the origin of living organisms from inorganic materials (Sheehan 2007). Haldane was a keen experimenter, willing to expose himself to danger to obtain data. One experiment, involving elevated levels of oxygen saturation, triggered a fit which resulted in him suffering crushed vertebrae. In his decompression chamber experiments, he and his volunteers suffered perforated eardrums, but, as Haldane stated in What is Life, "the drum generally heals up; and if a hole remains in it, although one is somewhat deaf, one can blow tobacco smoke out of the ear in question, which is a social accomplishment." He was also a famous science popularizer like Isaac Asimov, Stephen Jay Gould, or Richard Dawkins. His essay, Daedalus or Science and the Future (1923), was remarkable in predicting many scientific advances, but has been criticized for presenting a too idealistic view of scientific progress. In a speech entitled, "Biological Possibilities for the Human Species of the Next Ten-Thousand Years," Haldane coined the term "clone." The most famous of Haldane's many students, John Maynard Smith, shared his mixture of political and scientific interests. Haldane summarized his own scientific contributions in the following manner: “My scientific work has been varied. In the field of human physiology I am best known for my work on the effects of taking large amounts of ammonium chloride and ether salts. This has had some application in treating lead and radium poisoning. In the field of genetics I was the first to discover linkage in mammals, to map a human chromosome, and (with Penrose) to measure the mutation rate of a human gene. I have also made some minor discoveries in mathematics” (Mahanti 2007). During his life, Haldane wrote 24 books, more than 400 scientific papers, and numerous popular articles (Mahanti 2007). In addition to his achievements in science and as an author, during much of his life J.B.S. Haldane was a noted atheist, materialist, socialist, and communist. Haldane noted that he had been a materialist in practice since 1925 (Sheehan 2007). He is also famous for a quip, perhaps apocryphal, regarding beetles and religious faith. When asked what one could conclude as to the nature of God from a study of his creation, Haldane replied: "An inordinate fondness for beetles" (Gould 1996). This quote reflects not only the vast numbers of beetles but also Haldane's skeptical perspective on natural theology. However, his materialism and atheism seemingly were conflicted. As noted by Orr (1999), "J.B.S. Haldane was an unabashed mystic," who in his essay "When I am dead" (Possible Worlds and Other Essays, London: Chatto and Windus, 1927), wrote "Without that body [my mind] might perish altogether, but it seems to me quite as probable that it will lose its limitations and be merged into an infinite mind or something analogous to an infinite mind which I have reason to suspect probably exists behind nature." Haldane further noted in this essay, "It seems to me immensely unlikely that mind is a mere by-product of matter. For if my mental processes are determined wholly by the motions of atoms in my brain I have no reason to suppose that my beliefs are true. They may be sound chemically, but that does not make them sound logically. And hence I have no reason for supposing my brain to be composed of atoms. In order to escape from this necessity of sawing away the branch on which I am sitting, so to speak, I am compelled to believe that mind is not wholly conditioned by matter." This perspective is not aligned with the typically materialistic view that matter is the basis of all existence and spirit or mind either do not exist or are the by-product of matter. Haldane moved toward socialism during the First World War. However, his support for the Socialist ideal appears to be a pragmatic one. Writing in 1928, in On Being the Right Size, Haldane doubted whether the Socialist principle could be operated on the scale of the British Empire or the United States (or, implicitly, the Soviet Union): "while nationalization of certain industries is an obvious possibility in the largest of states, I find it no easier to picture a completely socialized British Empire or United States than an elephant turning somersaults or a hippopotamus jumping a hedge." In 1928, Haldane traveled to the Soviet Union, and would later note that he had been reflecting seriously on Marxist philosophy in relation to the sciences since 1928. By 1937, Haldane had become a committed Marxist, proclaiming publicly "I think that Marxism is true" (Sheehan 2007). In best known philosophical text, The Marxist Philosophy and the Sciences, his January 1938 Muirhead Lecture in Birmingham is included, and here he noted that he had only been a Marxist for about one year (Sheehan 2007). Furthermore, Haldane was the author of many articles in The Daily Worker during his youth. As an example of Haldane's position, in his introduction to the English version of Engel's Dialectics of Nature, Haldane (1940) emphatically stated "had his [Engel's] remarks on Darwinism been generally known, I for one would have been saved a certain amount of muddled thinking." Haldane joined the Communist party in 1937, but left in 1950, shortly after having toyed with standing for Parliament as a Communist Party candidate. Events in the Soviet Union, such as the rise of the anti-Mendelian agronomist Trofim Lysenko and the crimes of Stalin, caused him to break with the Communist Party later in life. Hull (1988) reported that "Haldane's advocacy of various left-wing causes, especially his refusal to dissociate himself from the Communist party during the Lysenko affair, impeded his career in science." When Haldane became disillusioned with the communism and the abuse of power, he moved to India, drawn, according to Mahanti (2007) to Nehruvian socialism, the reverence for life found in the Hindu-Buddhist tradition, and the wide tolerance for different life styles and cults in India. Between different men and women there are immense inborn differences which no amount of education can overcome. I do not believe that any training could have made Ramsay MacDonald into Jack Hobbs, or vice versa. The ideal society would enable every man and woman to make the best of their inborn possibilities. Hence it must have two characteristics. First, liberty, which would allow people to develop along their individual lines, and not attempt to force all into one mould, however admirable. Second, equality of opportunity which would mean that, as far as is humanly possible, every man and woman would be able to obtain the position in society for which they are best suited by nature. The waste of human beings under our present system is a far worse evil than any merely economic waste. Haldane is often quoted for saying, "My own suspicion is that the universe is not only queerer than we suppose, but queerer than we can suppose" (Haldane 1927). Haldane is sometimes misquoted as saying, "Not only is the universe stranger than we imagine, it is stranger than we can imagine" which should be attributed to Arthur Stanley Eddington. Haldane became a member of the prestigious Royal Society in 1932. Among the awards he received was the Royal Society's Darwin Medal (1953), the French Government's Legion of Honour (1937), the Academia Nazionale dei Lincei's Feltrinelli Prize (1961), the Weldon Memorial Prize from Oxford University, the Linnean Society's Darwin Wallace Medal, and the U.S. National Academy of Sciences Kimbler Genetics Award (Mahanti 2007). He served as President of the Genetical Society from 1932 to 1936. Haldane was a friend of the author Aldous Huxley, and was the basis for the biologist Shearwater in Huxley's novel Antic Hay. Ideas from Haldane's work of fiction, Daedalus, such as ectogenesis (the development of fetuses in artificial wombs), also influenced Huxley's Brave New World. Haldane died on December 1, 1964. He willed that his body be used for study at the Rangaraya Medical College, Kakinada (Mahanti 2007). Cancer's a Funny Thing: New Statesman, 1964. This is a heartwarming poem (but unfortunately composed during what turned out to be his mortal illness) written to encourage others to consult a doctor when they experience the symptoms it decribes. It begins: "I wish I had the voice of Homer/ To sing of rectal carcinoma,/ Which kills a lot more chaps, in fact,/ Than were bumped off when Troy was sacked." …and ends, "I know that cancer often kills,/ But so do cars and sleeping pills;/ And it can hurt one till one sweats,/ So can bad teeth and unpaid debts./ A spot of laughter, I am sure,/ Often accelerates one’s cure;/ So let us patients do our bit/ To help the surgeons make us fit"
Briggs, G. E. and J. B. S. Haldane. 1925. A note on the kinetics of enzyme action. Biochem. J. 19: 339-339. Gould, S. J. 1993. A special fondness for beetles. Natural History 1: 4-12. Mahanti, S. 2007. John Burdon Sanderson Haldane: The ideal of a polymath. Vigyan Prasar Science Portal. Retrieved June 11, 2007. Sheehan, H. 2007. J.B.S. Haldane. School of Communications, Dublin City University. Retrieved June 11, 2007. Unofficial SJG Archive - People - JBS Haldane (1892-1964). Useful text but the likeness is not of JBS but of his father John Scott Haldane. You can see and hear J.B.S. Haldane speak during the introduction of the rather disturbing Soviet film Experiments in the Revival of Organisms (1940). History of "J. B. S. Haldane"
This page was last modified on 11 March 2018, at 23:52.